In 2000, the 1st International Rough Diamond Congress convened in Israel. In 2003, the Israel Diamond Exchange was the first in the world to issue a Kimberley Certificate. In 2004, the Israel Diamond Institute established a center for marketing information. In 2004, the 1st International Jewelry Exhibition Jovella was held in Israel. That same year, the Israel Diamond Institute launched the Israeli Diamond Industry Portal – the first website to focus on the Israeli diamond industry. In 2006, the Israeli diamond industry hosted the 32nd International Diamond Congress; this was the sixth Congress to be hosted in Israel. In 2008, the 3rd International Rough Diamond Congress convened in Israel. During the convention, the Diamond Museum was re-launched after a general remodeling. 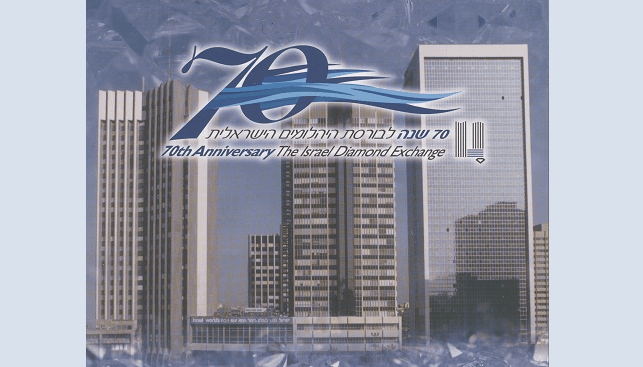 2008 also marked the 70th anniversary of the Israel Diamond Exchange, a website for the Exchange was launched, and a book titled “The Diamond in the Crown – The History of the Diamond Exchange” was published. In 2010, Israel became Chair of the Kimberley Process. Two Meetings of the Kimberley Process were held in Israel and attended by representatives of all the member states. In 2010, the Israel Diamond Institute launched the Israel Diamond Industry Portal app.